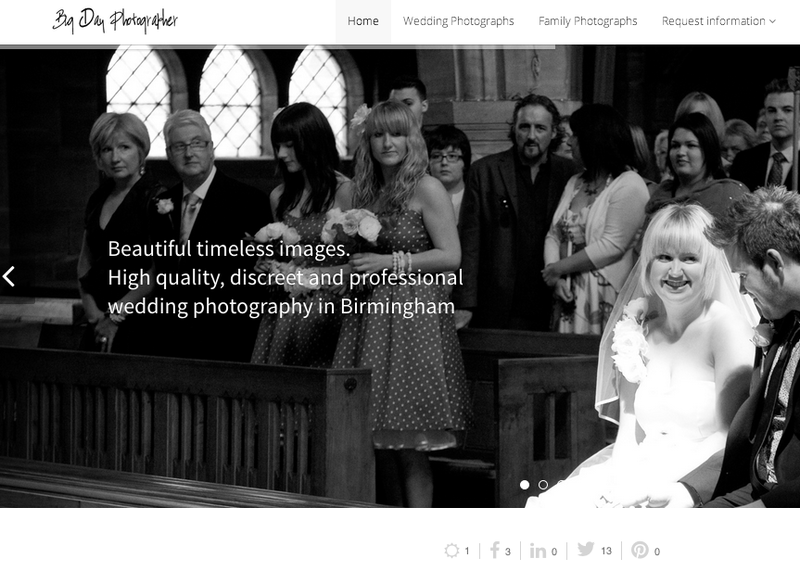 Big Day Photographer are a Birmingham based professional wedding photographer specialising in church, large hotels, manor houses and castle weddings across the UK. David Peters is a leading commercial and advertising photographer in the UK. This clean and fresh website brings David Peters new customers every month. 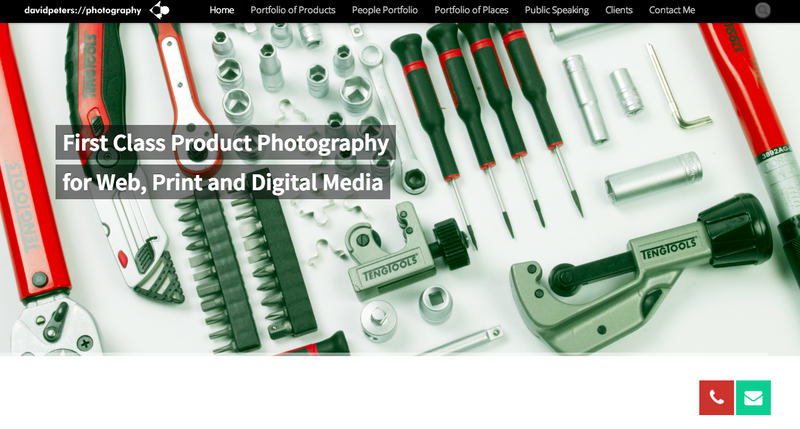 So why choose us to build your photography website? David Vidgen Ltd have considerable knowledge of the industry, we make sure that your website brings something new to the market and can easily be found by new customers. We'll build you a website that provides a return on investment and adds bottom line to your business. We use advanced drag and drop technology that enables us to build great photography and artist related websites quickly and effectively. Built with customers and search engines in mind, you want a website that brings new visitors, leads and customers. Over 60% of internet users now use their mobile and tablet device for browsing. Your website will be responsive and user friendly. Your website will be eCommerce ready, enabling you to sell your time, prints or just about any service you want online. Carefully built and positioned call to action buttons, will help you capture names, email addresses etc of future customers. Your website comes with 1 year free support. Giving you peace of mind for updates, amendments and new additions. Your website will be designed with social and local media in mind to encourage social interaction, likes, shares and mentions. We'll showcase your images in a way that makes them stand out online. We fully understand the industry thus we are able to work together to build a unique website that's cutting edge. "David Vidgen has built me a wonderful clean and fresh website that truly showcases my work and adds value to my business." "We had a limited budget but still wanted a professional looking website that attracted new business from Google. We highly recommend David Vidgen Ltd, a true professional and great customer service."